It’s November, 1922. In a valley in Egypt the tomb of a long dead pharaoh is about to be discovered. The world watches and waits for news with baited breath. Thirteen-year-old Lilian Kaye is eagerly following the story. One morning the news takes a sinister turn: a man- a famous Egyptologist- disappears. All that remains of him are his feet. Then Lil’s grandfather is taken suddenly ill, and when a mysterious package turns up for him from the Egyptologist, Lil starts to believe there is truth to the rumours of a pharaoh’s curse. 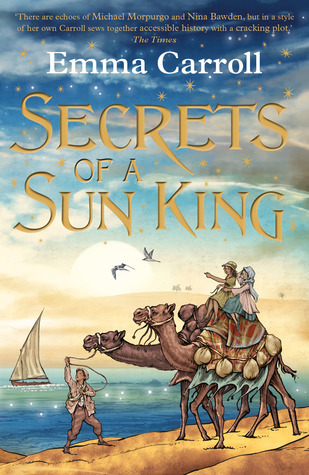 Secrets Of A Sun King is a story set mostly in Egypt. It follows the soon-to-be discovery of the tomb of a long dead pharaoh. Our main protagonist, Lil is following the story. One day, it’s reported that a famous Egyptologist has disappeared. All that remains are his feet. Lil’s grandfather who has a fascination with Egypt suddenly becomes ill. A mysterious package turns up for him… from the Egyptologist. Lil begins to believe there could truly be a pharaoh’s curse. This book has a terrific pace and plenty of adventure that will keep its readers interested. Lil and her new friend Tulip go to Egypt with Tulip’s mother. Tulip’s mother is reporting on Howard Carter’s dig. Lil and Tulip want to go along to see if they can try to break the pharaoh’s curse. 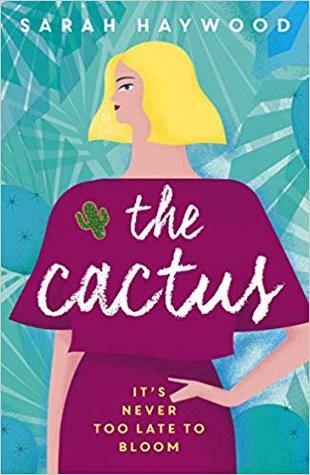 I believe one of Emma Carroll’s most astonishing talents is creating a plot so vivid that you feel like you’re there within the pages. It’s set post World War I and it seemed incredibly realistic. Emma Carroll always nails the plot without fail. 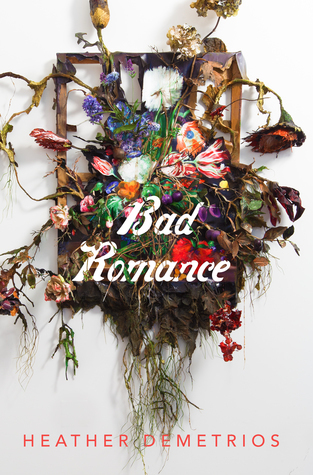 She writes her characters so well, you feel like they’re a friend to you. She really is a terrific writer for young children and I know from personal experience that many educators think she’s simply wonderful! This book would be so educative for children studying an Egyptian topic. I know I could possibly be, next year and depending on the maturity of the cohort of children I have…this could well be a suggestion for our writing or reading unit of work. Another solid read from Emma Carroll that doesn’t take you long to devour! I recently finished this book! 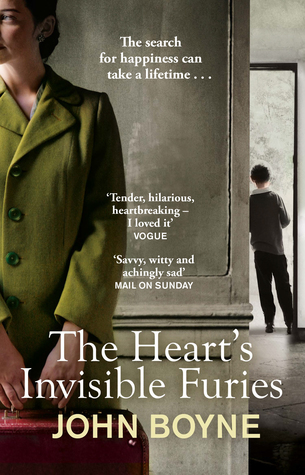 Whilst it wasn’t my favourite by Emma Carroll, it was still a very decent read! I’m really looking forward to this one! Get me, with my festive reads this year! 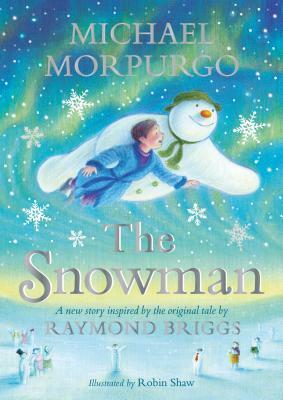 An encounter with a boy dangling from the sky changes pickpocket Magpie’s life forever. His family, the Montgolfiers, are desperate to discover the secret of flight. Together with Pierre, Magpie is caught up in a world of inflatable bloomers, spies and unruly animals in a race to be the first to fly a hot air balloon – in front of the King and Queen of France. You might look at my previously read by the same author section and infer that I’m quite the fan of Emma Carroll. You’d be right. She’s one of my favourite authors. I always know that I’m in for a decent read when I pick up a book of Emma’s. I really enjoyed reading Sky Chasers and yet it again, it has me yearning to be in Key Stage 2 once more so I can teach it/read it to my class! They’re a little young this year for this book but it didn’t stop me thinking of the ways that this book could be used educatively. This book comes from an idea by Neal Jackson who was the winner of Chicken House’s The Big Idea Competition. What an idea it was! 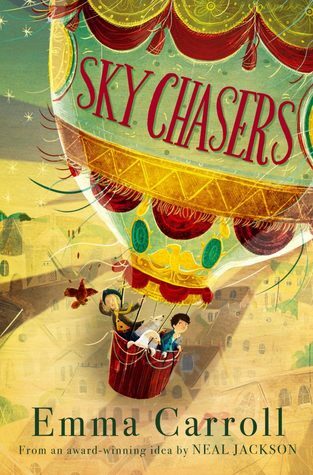 Sky Chasers is a story that centres around the Montgolfier family. They are part of the race to discover the secret of flight. Alongside pickpocket Magpie, they begin to create a hot air balloon. They need to take it to King Louis XVI. However, their mission is not easy and they have many obstacles in the way like spies and misbehaving animals. This story is so much fun and I imagine children would be completely captivated by the tale. I know I was! 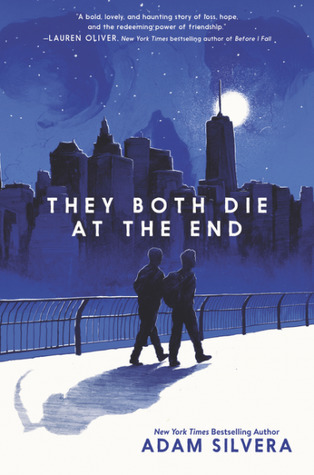 Emma Carroll’s writing style is simply wonderful and always catapults the reader right into the action. I’ve mentioned before that it feels like you’re inside the story watching the action unfold. Magpie is a wonderful female character. We’re always looking for strong female leads to inspire our girls at school because quite often it’s a strong male lead. Magpie had gone through so much. 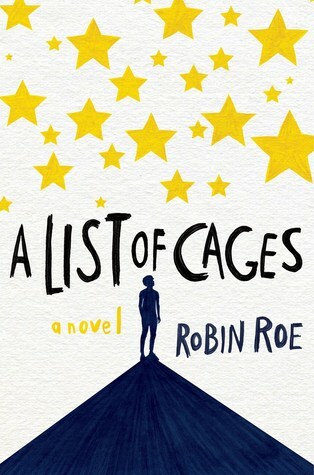 She experiences the loss of both parents and has to learn to live and survive on her own. There are some other brilliant characters who are so well developed. I immediately enjoy reading about characters in an Emma Carroll book because they’re well written and incredibly three dimensional. It didn’t take me long to read this beautiful book! I definitely see myself using it if I ever get back to Key Stage 2. Until then I’ll highly recommend it to my junior colleagues. A wonderful read! Highly recommended! NOW- Sky Chasers- Emma Carroll– I am about 100 pages into this book which I’m thoroughly enjoying. I’m hoping to read more tonight after work. Life has been very busy this week. I can’t believe it’s only Wednesday. It feels like it should be Fridau! 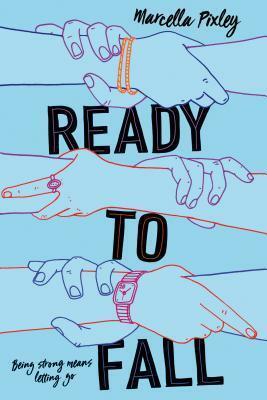 THEN- Ready To Fall- Marcella Pixley- I thoroughly enjoyed this book which has a very unique take on grief! 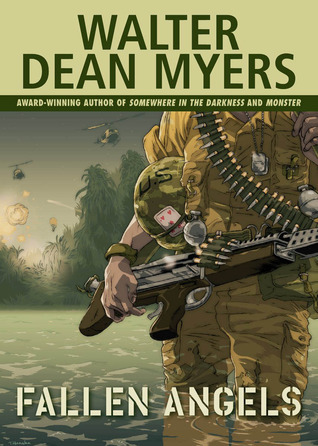 NEXT- Fallen Angels– Walter Dean Myers– This is the Banned Book I am reading this week for my feature with my sister, Beth. I’m intrigued to see what it’s like!